Blues, country, and gospel—talk about three key ingredients of rock and roll! On that note, three trailblazing, iconic figures comprise this installment of Women That Should Be in the Rock Hall: Willie Mae "Big Mama" Thornton, Patsy Cline, and Sister Rosetta Tharpe. 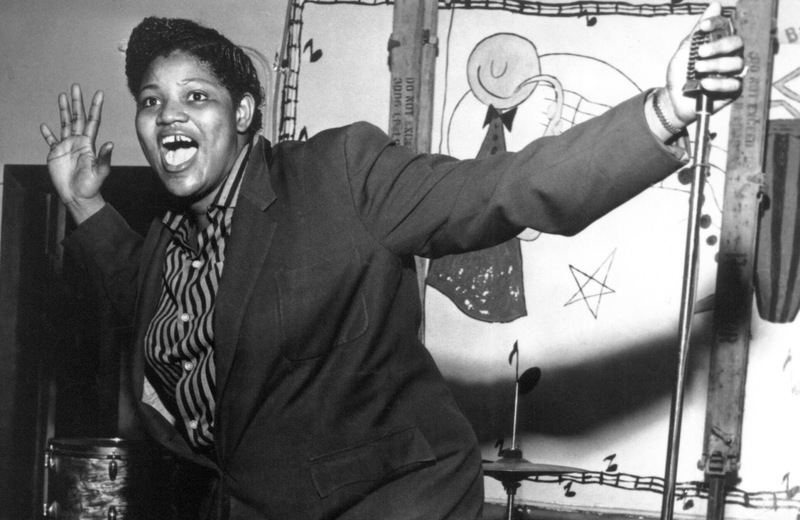 In 1953, there was a hit that had a 7-week stint at the top of the Billboard R&B charts: "Hound Dog" by none other than Montgomery-born Willie Mae "Big Mama" Thornton. It's a sterling accomplishment, and of course Elvis covered the Leiber and Stoller-penned song to even greater acclaim. Perhaps what further solidifies the Rock Hall case for the self-taught Thornton is a number she both wrote and performed, the 1968 hit "Ball 'n' Chain," later interpreted by Janis Joplin. A formidable, no-nonsense woman with the pipes and showmanship to back it up, Thornton is an unquestionable pioneer of rock and roll—a liberated blues belter and harmonica player shattering culturally-prescribed gender roles every time she stepped to the mic. She's never been nominated, but it's time she gets her due. Big voice. Big personality. Big songs. Big Mama Thornton. 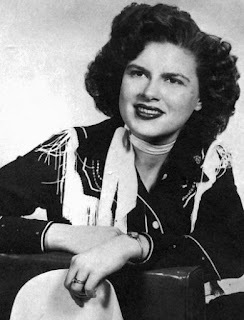 Easily on the Mount Rushmore of the greatest country singers ever, Virginia Patterson Hensley left us far too young at age 30 in a 1963 plane crash. Her country and pop crossover legacy, however, is a rich one. Cline recorded a pile of singles in the later half of the '50s, with "Walkin' After Midnight" emerging as a standout. When the '60s rolled around, and she was free from her earlier contractual shackles, she released the monumental hits "I Fall to Pieces" and "Crazy" (written by Willie Nelson). Indisputably, Cline built the stage on which so many female singers, regardless of genre, stand today. She was the first female solo artist to be inducted into the Country Music Hall of Fame, all the way back in 1973. Thus, recognition from the Rock and Roll Hall of Fame should be forthcoming, given her pop chart success and iconic status. Musical excellence? Obviously. Influence? Everyone from Loretta Lynn to Linda Ronstadt (inducted) to Neko Case. The Hall is certainly not averse to honoring country-associated artists (i.e., Hank Williams, Johnny Cash), so Cline just feels like an inevitable selection. She's been eligible since 1982, but has never been nominated. In a world where genres increasingly blend together and myriad digital music platforms find us all consuming a wide variety of sounds, overlooking an artist of Cline's magnitude due to her perceived primary genre is short-sighted. She transcends country, and is worthy of a nomination. Towering over the intersection of gospel and rock—wielding an electric guitar—is Sister Rosetta Tharpe (Rosetta Nubin), referred to by many as "the godmother of rock and roll." At one point, gospel music had no bigger star, and Tharpe's magnetism, ascendant voice, and instrumental prowess contributed to her being heard both on the radio and eventually by white audiences. With her hits "Rock Me" and "This Train" in the late '30s, this passionate, stylish figure began clearing the way for both R&B and, of course, rock and roll. Unsurprisingly, Tharpe courted controversy by performing both spiritual and secular material; her stages included both churches and nightclubs. However, her sacred/"profane" artistry, which spanned gospel, blues, jazz, R&B, and more, might ideally be seen now as bridge-building and rejecting labels—an affirmation that, despite our differences, we're all on this train together. 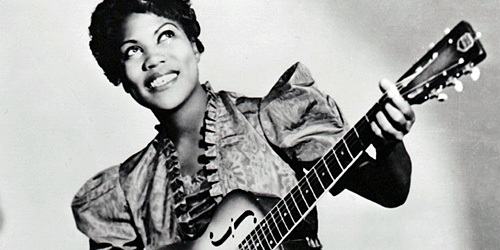 In 1944, she recorded "Down by the Riverside," which in 2004 was notably selected for the National Recording Registry of the U.S. Library of Congress, and her 1944 collaboration with boogie-woogie piano man Sammy Price yielded what is regarded as a clear antecedent of rock and roll, the Decca Records single "Strange Things Happening Every Day." Sister Rosetta Tharpe is the very definition of an artist that should be put into the Rock Hall under "Early Influence," but there's little doubt she deserves to enter those hallowed halls on Lake Erie.